These days, it’s impossible to look at a magazine or an advertisement that doesn’t feature attractive men or woman with one thing in common: dazzlingly white teeth. Once, we may have found ourselves wondering how these individuals were able to get such a bright smile. Now, we know better. 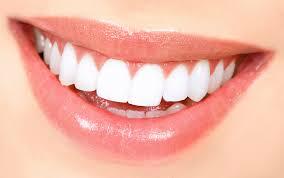 We know that many people all over the world are relying on teeth whitening products. Many of us currently do ourselves! But just how safe are these products? Teeth whitening products come in a few different forms. You’re probably most familiar with whitening strips, which are placed on the teeth. They mold themselves around each tooth, working at the tooth’s enamel to brighten it and fight stains. Whitening trays are another common whitening product. The tray is filled with the same gel as whitening strips use. It is worn like a retainer, allowing teeth to soak in it. The active ingredient in whitening products is usually hydrogen peroxide. When the peroxide oxidizes, it releases an acid that breaks apart stains—whitening teeth as a result. But how safe is this treatment? Should we be concerned about potential damage to our teeth as a result of whitening treatments? The American Dental Association (ADA) says that whitening products are, for the most part, both safe and effective. However, the ADA also admits that these whitening products are known to irritate the gums and cause tooth discomfort. These issues are usually treated with topical numbing gels or pain relievers. However, not everyone experiences these symptoms. While it’s acknowledged that they do exist, it’s thought that only individuals who do not follow the proper application procedure will experience them. It is therefore crucial to stress the importance of following the directions given with any whitening treatment. This should prevent tooth sensitivity, discomfort, or gum irritation. The whitening process with use of hydrogen peroxide can be compared to the act of chemically dying one’s hair—if it is done occasionally (and all instructions are followed) the results should be satisfactory, and should cause no issues. However, if done too often, hair may suffer breakage and be stripped repeatedly of its nutrients. The overuse of whitening products on the teeth will have a similar effect. If you are concerned about the safety of whitening products, there are always natural alternatives you may consider. Toothpaste is, of course, one of the best known methods for getting the stains off of teeth. Baking soda is also known to clean and whiten teeth. If you’re searching for an even more natural alternative, you might try eating certain foods. Strawberries, for instance, contain an acid that is known to break down stains on the teeth. Avoiding coffee, which stains teeth, will also help. Regardless of the method you end up settling with, teeth whitening should first and foremost be discussed with your dentist. He or she should be able to educate you on different whitening methods and suggest the best one for you. ← Yoga or Tai Chi to Keep You Young ?